1) The General Sherman Tree, a giant sequoia in California's Sequoia and Kings Canyon National Park, is the largest tree in the world, and is also among the oldest. It is undoubtedly one of the major attractions of the park for visitors, an awe-inspiring sight that exemplifies the remarkable ecology that warrants the national park's designation as a UN Biosphere Reserve. The General Sherman Tree is located in Sequoia and Kings Canyon National Park in California. Specifically, the tree is located at the north end of Giant Forest, one of the park's five sub-regions. The Giant Forest section offers 40 miles of trails, two of which -- the General Sherman Tree Trail and the Big Trees Trail -- lead directly to the General Sherman Tree. Trail guides are available at visitor centers, and park rangers can give you more information. Another way to reach the tree is by taking the free Sequoia Shuttle, which operates daily from the end of May to the end of September. Route 1 on the green bus stops at the General Sherman Tree, as well as the Giant Forest Museum and the Lodgepole Visitor Center and Campground. The General Sherman Tree is considered the largest tree in the world by volume. Its volume, most recently calculated in 1975, is 52,500 cubic feet, a figure determined by measuring only the trunk of the tree according to accepted standards. This means that when large branches fall, it does not affect the official size of the tree. According to the National Park Service, the General Sherman Tree is 274.9 feet tall with a circumference at the ground of 102.6 feet. The diameter of its largest branch measures 6.8 feet, the first large branch is 130 feet above the base of the tree, and the average crown spread is 106.5 feet across. It is not the tallest tree in the world -- this title is claimed by a coastal redwood called Hyperion in Redwood National Park, also in California. The General Sherman Tree is estimated to be between 2,300 and 2,700 years old, with research conducted in 2002 concluding that it is closer to 2,000 years old. It received its moniker in 1879 in honor of the Civil War General William Tecumseh Sherman. A wagon road constructed in the early 1900s passed by the General Sherman Tree, revealing it to vehicular tourists for the first time. Improvements made to the road over the ensuing years improved access to the Giant Forest. In 2005, a 2.5-acre parking lot near the General Sherman Tree was demolished and restored to forest land in order to improve the natural setting. The trunk of the General Sherman Tree could theoretically be turned into almost 120 miles of standard sized lumber planks. A branch that fell from the tree in 1978 had a diameter greater than six feet and was at least 140 feet long -- larger than any tree in the United States east of the Sierra Nevada and Cascade mountain ranges. The General Sherman is not the only giant tree in Sequoia National Park; in fact, the five largest trees in the world are all located in the park, with three others found in the Giant Forest section. 2) Epsilon Eridani is the closest star known to have a planet: and maybe two of them. It is the only system that has both precise Doppler data and long-baseline astrometric positional observations, which combined yield the orbital tilt and the true planetary mass. Given its closeness and the knowledge of where it is relative to its star, the planet may become the first ever actually imaged. The circle shows the location of the class K (K2) dwarf star Epsilon Eridani (in the constellation Eridanus). At a distance of only 10.5 light years, the star is the closest to the Sun for which an extrasolar planet is known. With an average orbital radius 3.39 times that of the distance between the Sun and Earth (the Astronomical Unit, AU), 65% of the way from the Sun to Jupiter, the planet takes 6.85 years to make an orbit. Combination of stellar velocity and positional measures of the star show the planet to have a mass 1.55 times that of Jupiter with an uncertainty of only 15 percent. The orbital inclination of 30 degrees to the plane of the sky agrees well with the inclination of a dusty circumstellar disk. Unlike Jupiter, the planet is in a highly eccentric orbit that takes it from as far as 5.8 AU from the star (just farther than Jupiter is from the Sun) to as close as 1.1 AU. The planet will be farthest from Epsilon Eridani proper, 1.7 seconds of arc, late in the year 2010, when we have the best hope of imaging it directly even though it will be 20 million times fainter than the star. Slow changes in the apparent orbit suggest another "Jupiter" with a period greater than 50 years (which would place it at least 13 AU from the star). Epsilon Eridani is a fourth magnitude (on the bright side, 3.73) class K (K2) ordinary, though relatively young, hydrogen-fusing dwarf. A mere 10.5 light years away, it is the 10th closest star system to the Earth. Its temperature of 5080 degrees Kelvin (88 percent that of the Sun) and low luminosity (34 percent solar) tell of a lower mass, just 83 percent that of the Sun. Though its rotation speed appears similar to that of the Sun, Epsilon Eridani is much younger (about 800 million years, as opposed to the Sun's 4.6 billion), and displays considerable solar- like activity. Unlike many stars so far found to have planets, Epsilon Eridani is not metal-rich, its metal content actually a bit less than that of the Sun (about 80 percent solar). The star achieved lasting fame as one of the first to be examined for radio signals produced by intelligent life, when Frank Drake turned an 85-foot radio telescope to it and to Tau Ceti in 1960. No signals were found. At least now the star does indeed appear to have a real planet, though as a Jupiter-like body, one incapable of supporting life. 3) The stethoscope is an acoustic medical device for auscultation, or listening to the internal sounds of an animal or human body. It typically has a small disc-shaped resonator that is placed against the chest, and two tubes connected to earpieces. It is often used to listen to lung and heart sounds. It is also used to listen to intestines and blood flow in arteries and veins. In combination with a sphygmomanometer, it is commonly used for measurements of blood pressure. Less commonly, "mechanic's stethoscopes", equipped with rod shaped chestpieces, are used to listen to internal sounds made by machines (for example, sounds and vibrations emitted by worn ball bearings), such as diagnosing a malfunctioning automobile engine by listening to the sounds of its internal parts. Stethoscopes can also be used to check scientific vacuum chambers for leaks, and for various other small-scale acoustic monitoring tasks. A stethoscope that intensifies auscultatory sounds is called phonendoscope. The stethoscope was invented in France in 1816 by René Laennec at the Necker-Enfants Malades Hospital in Paris. It consisted of a wooden tube and was monaural. Laennec invented the stethoscope because he was uncomfortable placing his ear on women's chests to hear heart sounds. He observed that a rolled notebook, placed between the patient's chest and his ear, could amplify heart sounds without requiring physical contact. Laennec's device was similar to the common ear trumpet, a historical form of hearing aid; indeed, his invention was almost indistinguishable in structure and function from the trumpet, which was commonly called a "microphone". Laennec called his device the "stethoscope" (stetho- + -scope, "chest scope"), and he called its use "mediate auscultation", because it was auscultation with a tool intermediate between the patient's body and the physician's ear. (Today the word auscultation denotes all such listening, mediate or not.) The first flexible stethoscope of any sort may have been a binaural instrument with articulated joints not very clearly described in 1829. In 1840, Golding Bird described a stethoscope he had been using with a flexible tube. Bird was the first to publish a description of such a stethoscope but he noted in his paper the prior existence of an earlier design (which he thought was of little utility) which he described as the snake ear trumpet. Bird's stethoscope had a single earpiece. In 1851, Irish physician Arthur Leared invented a binaural stethoscope and, in 1852, George Philip Cammann perfected the design of the stethoscope instrument (that used both ears) for commercial production, which has become the standard ever since. Cammann also wrote a major treatise on diagnosis by auscultation, which the refined binaural stethoscope made possible. By 1873, there were descriptions of a differential stethoscope that could connect to slightly different locations to create a slight stereo effect, though this did not become a standard tool in clinical practice. The medical historian Jacalyn Duffin has argued that the invention of the stethoscope marked a major step in the redefinition of disease from being a bundle of symptoms, to the current sense of a disease as a problem with an anatomical system even if there are no noticeable symptoms. This re-conceptualization occurred in part, Duffin argues, because prior to stethoscopes, there were no non-lethal instruments for exploring internal anatomy. Rappaport and Sprague designed a new stethoscope in the 1940s, which became the standard by which other stethoscopes are measured, consisting of two sides, one of which is used for the respiratory system, the other for the cardiovascular system. The Rappaport-Sprague was later made by Hewlett-Packard. HP's medical products division was spun off as part of Agilent Technologies, Inc., where it became Agilent Healthcare. Agilent Healthcare was purchased by Philips which became Philips Medical Systems, before the walnut-boxed, $300, original Rappaport-Sprague stethoscope was finally abandoned ca. 2004, along with Philips' brand (manufactured by Andromed, of Montreal, Canada) electronic stethoscope model. The Rappaport-Sprague model stethoscope was heavy and short (18-24 in (46-61 cm)) with an antiquated appearance recognizable by their two large independent latex rubber tubes connecting an exposed leaf-spring-joined pair of opposing F-shaped chrome-plated brass binaural ear tubes with a dual-head chest piece. Several other minor refinements were made to stethoscopes until, in the early 1960s, David Littmann, a Harvard Medical School professor, created a new stethoscope that was lighter than previous models and had improved acoustics. In the late 1970s, 3M-Littmann introduced the tunable diaphragm: a very hard (G-10) glass-epoxy resin diaphragm member with an overmolded silicone flexible acoustic surround which permitted increased excursion of the diaphragm member in a Z-axis with respect to the plane of the sound collecting area. The left shift to a lower resonant frequency increases the volume of some low frequency sounds due to the longer waves propagated by the increased excursion of the hard diaphragm member suspended in the concentric accountic surround. Conversely, restricting excursion of the diaphragm by pressing the stethoscope diaphragm surface firmly against the anatomical area overlying the physiological sounds of interest, the acoustic surround could also be used to dampen excursion of the diaphragm in response to "z"-axis pressure against a concentric fret. This raises the frequency bias by shortening the wavelength to auscultate a higher range of physiological sounds. In 1999, Richard Deslauriers patented the first external noise reducing stethoscope, the DRG Puretone. It featured two parallel lumens containing two steel coils which dissipated infiltrating noise as inaudible heat energy. The steel coil "insulation" added .30 lb to each stethoscope. In 2005, DRG's diagnostics division was acquired by TRIMLINE Medical Products. Stethoscopes are often considered as a symbol of healthcare professionals, as various healthcare providers are often seen or depicted with stethoscopes hanging around their necks. A 2012 research paper claimed that the stethoscope, when compared to other medical equipment, had the highest positive impact on the perceived trustworthiness of the practitioner seen with it. The advent of practical, widespread portable ultrasonography (point-of-care ultrasonography) in the late 1990s to early 2000s led some physicians to ask how soon it would be before stethoscopes would become obsolete. Others answered that they thought the relationship of the various tools (stethoscopes and digital devices) would change but that it would be a long time before stethoscopes were obsolete. A decade later, in 2016, the same two sides of the coin were still recognized. One cardiologist said, "the stethoscope is dead", but a pediatrician said, "We are not at the place, and probably won't be for a very long time", where stethoscopes were obsolete. One consideration is that it depends on the segment of health care (emergency medical services, nursing, medicine) and the specialty. "Stethoscopes retain their value for listening to lungs and bowels for clues of disease, experts agree." But for the cardiovascular system, "auscultation is superfluous", one cardiologist said. Thus, it could be that cardiology in the secondary and tertiary care settings may abandon the stethoscope many years before primary care, pediatrics, and physical therapy do. Acoustic stethoscopes are familiar to most people, and operate on the transmission of sound from the chest piece, via air-filled hollow tubes, to the listener's ears. The chestpiece usually consists of two sides that can be placed against the patient for sensing sound; a diaphragm (plastic disc) or bell (hollow cup). If the diaphragm is placed on the patient, body sounds vibrate the diaphragm, creating acoustic pressure waves which travel up the tubing to the listener's ears. If the bell is placed on the patient, the vibrations of the skin directly produce acoustic pressure waves traveling up to the listener's ears. The bell transmits low frequency sounds, while the diaphragm transmits higher frequency sounds. This two-sided stethoscope was invented by Rappaport and Sprague in the early part of the 20th century. One problem with acoustic stethoscopes was that the sound level was extremely low. This problem was surmounted in 1999 with the invention of the stratified continuous (inner) lumen, and the kinetic acoustic mechanism in 2002. An electronic stethoscope (or stethophone) overcomes the low sound levels by electronically amplifying body sounds. However, amplification of stethoscope contact artifacts, and component cutoffs (frequency response thresholds of electronic stethoscope microphones, pre-amps, amps, and speakers) limit electronically amplified stethoscopes' overall utility by amplifying mid-range sounds, while simultaneously attenuating high- and low- frequency range sounds. Currently, a number of companies offer electronic stethoscopes. Electronic stethoscopes require conversion of acoustic sound waves to electrical signals which can then be amplified and processed for optimal listening. Unlike acoustic stethoscopes, which are all based on the same physics, transducers in electronic stethoscopes vary widely. The simplest and least effective method of sound detection is achieved by placing a microphone in the chestpiece. This method suffers from ambient noise interference and has fallen out of favor. Another method, used in Welch-Allyn's Meditron stethoscope, comprises placement of a piezoelectric crystal at the head of a metal shaft, the bottom of the shaft making contact with a diaphragm. 3M also uses a piezo-electric crystal placed within foam behind a thick rubber-like diaphragm. The Thinklabs' Rhythm 32 uses an Electromagnetic Diaphragm with a conductive inner surface to form a capacitive sensor. This diaphragm responds to sound waves, with changes in an electric field replacing changes in air pressure. The Eko Core enables wireless transmission of heart sounds to a smartphone or tablet. Because the sounds are transmitted electronically, an electronic stethoscope can be a wireless device, can be a recording device, and can provide noise reduction, signal enhancement, and both visual and audio output. Around 2001, Stethographics introduced PC-based software which enabled a phonocardiograph, graphic representation of cardiologic and pulmonologic sounds to be generated, and interpreted according to related algorithms. All of these features are helpful for purposes of telemedicine (remote diagnosis) and teaching. Electronic stethoscopes are also used with Computer-aided Auscultation programs to analyze the recorded heart sounds pathological or innocent heart murmurs. Some electronic stethoscopes feature direct audio output that can be used with an external recording device, such as a laptop or MP3 recorder. The same connection can be used to listen to the previously recorded auscultation through the stethoscope headphones, allowing for more detailed study for general research as well as evaluation and consultation regarding a particular patient's condition and telemedicine, or remote diagnosis. There are some smartphone apps that can use the phone as a stethoscope. At least one uses the phone's own microphone to amplify sound, produce a visualization, and e-mail the results. These apps may be used for training purposes or as novelties, but have not yet gained acceptance for professional medical use. The first stethoscope that could work with a smartphone application was introduced in 2015. A fetal stethoscope or fetoscope is an acoustic stethoscope shaped like a listening trumpet. It is placed against the abdomen of a pregnant woman to listen to the heart sounds of the fetus. The fetal stethoscope is also known as a Pinard horn after French obstetrician Adolphe Pinard (1844 - 1934). A Doppler stethoscope is an electronic device that measures the Doppler effect of ultrasound waves reflected from organs within the body. Motion is detected by the change in frequency, due to the Doppler effect, of the reflected waves. Hence the Doppler stethoscope is particularly suited to deal with moving objects such as a beating heart. It was recently demonstrated that continuous Doppler enables the auscultation of valvular movements and blood flow sounds that are undetected during cardiac examination with a stethoscope in adults. The Doppler auscultation presented a sensitivity of 84% for the detection of aortic regurgitations while classic stethoscope auscultation presented a sensitivity of 58%. Moreover, Doppler auscultation was superior in the detection of impaired ventricular relaxation. Since the physics of Doppler auscultation and classic auscultation are different, it has been suggested that both methods could complement each other. A military noise-immune Doppler based stethoscope has recently been developed for auscultation of patients in loud sound environments (up to 110 dB). A 3D-printed stethoscope is an open-source medical device meant for auscultation and manufactured via means of 3D printing. The 3D stethoscope was developed by Dr. Tarek Loubani and a team of medical and technology specialists. The 3D-stethoscope was developed as part of the Glia project, and its design is open source from the outset. The stethoscope gained widespread media coverage in Summer 2015. The need for a 3D-stethoscope was borne out of a lack of stethoscopes and other vital medical equipment because of the blockade of the Gaza Strip, where Loubani, a Palestinian-Canadian, worked as an emergency physician during the 2012 conflict in Gaza. The 1960s-era Littmann Cardiology 3 stethoscope became the basis for the 3D-printed stethoscope developed by Loubani. Stethoscopes usually have rubber earpieces, which aid comfort and create a seal with the ear, improving the acoustic function of the device. Stethoscopes can be modified by replacing the standard earpieces with moulded versions, which improve comfort and transmission of sound. Moulded earpieces can be cast by an audiologist or made by the stethoscope user from a kit. With the cancellation of funding for an alien-hunting telescope in California, we look at the science behind the search for extra-terrestrial intelligence. This was the question reportedly asked by nuclear physicist Enrico Fermi during a lunch at Los Alamos laboratory in New Mexico back in 1950. It’s now known as the Fermi Paradox. It’s intended to highlight the apparent contradiction between high estimates of the probability that there are alien civilizations in our galaxy, and the lack of any evidence that they really do exist. There are a number of attempted explanations of why this should be the case, such as alien civilizations being too far away, eventually being destroyed by themselves or by natural events - or because they aren’t there to find. A decade after Fermi’s question, astrophysicist Frank Drake, the pioneer of the search for extraterrestrial intelligence, created what is now referred to as the Drake Equation to try to estimate the number of alien civilizations in our galaxy. The equation is based on the star formation rate, the fraction of stars that have planets and the probabilities of, for example, the planets developing life and that life evolving intelligence.The problem is that we don’t accurately know the values of most of the variables, and Drake himself has said that his equation is just a way of “organising our ignorance” on the matter. Most approaches aimed at detecting aliens involve listening out for signals and hoping we find something. Efforts to detect signs of extraterrestrial intelligence usually use radio telescopes, typically utilising a portion of their time that is not devoted to traditional radio astronomy. Assuming that alien signals are much like our own, the data analysts are on the lookout for repeating signals with a narrow bandwidth. But because there is little time dedicated to SETI activities, and resources are scarce, there have only been studies at a handful of frequencies from a few thousand star systems - out of more than 100 bn stars in total. Arguably the best candidate for the detection of an artificial transmission so far is the “Wow!” signal, picked up in 1977 by the Big Ear radio telescope at Ohio State University. It lasted for the entirety of the maximum 72 seconds for which it could be observed, suggesting a constant signal, and was at a frequency similar to that of hydrogen resonance, which has been suggested as one at which strong interstellar signals might be transmitted. Repeated attempts to relocate the signal have not found anything, however. Because using radio telescopes can only possibly detect civilizations that have reached a certain level of technology, some have suggested finding planets around other stars and monitoring their atmospheres. This could first determine whether they’re capable of supporting life like that which is found on Earth, and then detect any changes in composition that would result from an industrial revolution. Signals from Earth have been leaking into space, unwittingly announcing our presence to any extraterrestrial civilizations, since the first FM radio and TV transmissions. Unlike some other frequencies, which bounce off the atmosphere, FM signals can penetrate it and be carried through space. But any aliens wanting to catch 24-hour rolling news coverage would have to be nearby. Until recently, TV transmissions have been omnidirectional - they spread out roughly equally in every direction through space. So their power decreases with the square of the distance that the signal has travelled through space, meaning that broadcasts would be extremely difficult to pick up at a range of more than a few tens of lightyears. It will be even harder in the future because of both satellite television and the digital switchover. Whereas the old type of broadcasts sent radio waves in every direction, the requirements of satellite TV mean sending them in tighter beams up to satellites and then back down to Earth again, so less of the signal leaks into space. The UK is also due to switch over to digital rather than analogue broadcasting, and digital signals only need about a quarter of the power, making any transmission even weaker still by the time it reaches neighbouring stars. But even if accidentally leaked messages are weak, we can still try to make contact deliberately by beaming messages towards a particular location in space. This has been attempted several times, the best known of which was transmitted by the Arecibo radio observatory in 1974. The message was a sequence of binary digits, which, when decoded shows pictorial and mathematical representations of a human being, our solar system and DNA. It was aimed at the M13 globular cluster of around 30 000 stars 21 000 light years away, which will no longer be there by the time the message arrives – it was intended more as a demonstration of technology and to be thought-provoking. Although the power of deliberately transmitted beams doesn’t drop as rapidly as with accidental broadcasts, they are still only likely to be strong enough to be detected within perhaps a few hundred to a few thousand lightyears. The effective range of a transmission depends on several factors, including the frequency, bandwidth and transmission power, as this range-calculator shows. Even for messages at high power, any extraterrestrials waiting to hear from us could need a radio dish several kilometres across. They may not have the budget for it. Built during a time when Egypt was one of the richest and most powerful civilizations in the world, the pyramids - especially the Great Pyramids of Giza - are some of the most magnificent man-made structures in history. Their massive scale reflects the unique role that the pharaoh, or king, played in ancient Egyptian society. Though pyramids were built from the beginning of the Old Kingdom to the close of the Ptolemaic period in the fourth century A.D., the peak of pyramid building began with the late third dynasty and continued until roughly the sixth (c. 2325 B.C.). More than 4,000 years later, the Egyptian pyramids still retain much of their majesty, providing a glimpse into the country’s rich and glorious past. During the third and fourth dynasties of the Old Kingdom, Egypt enjoyed tremendous economic prosperity and stability. Kings held a unique position in Egyptian society. Somewhere in between human and divine, they were believed to have been chosen by the gods to serve as mediators between them and the people on earth. Because of this, it was in everyone’s interest to keep the king’s majesty intact even after his death, when he was believed to become Osiris, god of the dead. The new pharaoh, in turn, became Horus, the falcon-god who served as protector of the sun-god, Ra. Ancient Egyptians believed that when the king died, part of his spirit (known as “ka”) remained with his body. To properly care for his spirit, the corpse was mummified, and everything the king would need in the afterlife was buried with him, including gold vessels, food, furniture and other offerings. The pyramids became the focus of a cult of the dead king that was supposed to continue well after his death. Their riches would provide not only for him, but also for the relatives, officials and priests who were buried near him. After Djoser, the stepped pyramid became the norm for royal burials, although none of those planned by his dynastic successors were completed (probably due to their relatively short reigns). The earliest tomb constructed as a “true” (smooth-sided, not stepped) pyramid was the Red Pyramid at Dahshur, one of three burial structures built for the first king of the fourth dynasty, Sneferu (2613-2589 B.C.) It was named for the color of the limestone blocks used to construct the pyramid’s core. No pyramids are more celebrated than the Great Pyramids of Giza, located on a plateau on the west bank of the Nile River, on the outskirts of modern-day Cairo. The oldest and largest of the three pyramids at Giza, known as the Great Pyramid, is the only surviving structure out of the famed seven wonders of the ancient world. It was built for Khufu (Cheops, in Greek), Sneferu’s successor and the second of the eight kings of the fourth dynasty. Though Khufu reigned for 23 years (2589-2566 B.C. ), relatively little is known of his reign beyond the grandeur of his pyramid. The sides of the pyramid’s base average 755.75 feet (230 meters), and its original height was 481.4 feet (147 meters), making it the largest pyramid in the world. Three small pyramids built for Khufu’s queens are lined up next to the Great Pyramid, and a tomb was found nearby containing the empty sarcophagus of his mother, Queen Hetepheres. Like other pyramids, Khufu’s is surrounded by rows of mastabas, where relatives or officials of the king were buried to accompany and support him in the afterlife. The middle pyramid at Giza was built for Khufu’s son Khafre (2558-2532 B.C). A unique feature built inside Khafre’s pyramid complex was the Great Sphinx, a guardian statue carved in limestone with the head of a man and the body of a lion. It was the largest statue in the ancient world, measuring 240 feet long and 66 feet high. In the 18th dynasty (c. 1500 B.C.) the Great Sphinx would come to be worshiped itself, as the image of a local form of the god Horus. The southernmost pyramid at Giza was built for Khafre’s son Menkaure (2532-2503 B.C.). It is the shortest of the three pyramids (218 feet) and is a precursor of the smaller pyramids that would be constructed during the fifth and sixth dynasties. Approximately 2.3 million blocks of stone (averaging about 2.5 tons each) had to be cut, transported and assembled to build Khufu’s Great Pyramid. The ancient Greek historian Herodotus wrote that it took 20 years to build and required the labor of 100,000 men, but later archaeological evidence suggests that the workforce might actually have been around 20,000. Though some popular versions of history held that the pyramids were built by slaves or foreigners forced into labor, skeletons excavated from the area show that the workers were probably native Egyptian agricultural laborers who worked on the pyramids during the time of year when the Nile River flooded much of the land nearby. Pyramids continued to be built throughout the fifth and sixth dynasties, but the general quality and scale of their construction declined over this period, along with the power and wealth of the kings themselves. In the later Old Kingdom pyramids, beginning with that of King Unas (2375-2345 B.C), pyramid builders began to inscribe written accounts of events in the king’s reign on the walls of the burial chamber and the rest of the pyramid’s interior. Known as pyramid texts, these are the earliest significant religious compositions known from ancient Egypt. The last of the great pyramid builders was Pepy II (2278-2184 B.C. ), the second king of the sixth dynasty, who came to power as a young boy and ruled for 94 years. By the time of his rule, Old Kingdom prosperity was dwindling, and the pharaoh had lost some of his quasi-divine status as the power of non-royal administrative officials grew. Pepy II’s pyramid, built at Saqqara and completed some 30 years into his reign, was much shorter (172 feet) than others of the Old Kingdom. With Pepy’s death, the kingdom and strong central government virtually collapsed, and Egypt entered a turbulent phase known as the First Intermediate Period. Later kings, of the 12th dynasty, would return to pyramid building during the so-called Middle Kingdom phase, but it was never on the same scale as the Great Pyramids. Tomb robbers and other vandals in both ancient and modern times removed most of the bodies and funeral goods from Egypt’s pyramids and plundered their exteriors as well. Stripped of most of their smooth white limestone coverings, the Great Pyramids no longer reach their original heights; Khufu’s, for example, measures only 451 feet high. Nonetheless, millions of people continue to visit the pyramids each year, drawn by their towering grandeur and the enduring allure of Egypt’s rich and glorious past. General Packet Radio Service (GPRS) is a standard technology that extends GSM (global system for mobile) voice networks with support for data features. GPRS based networks are often called 2.5G networks and are gradually being phased out in favor of newer 3G/4G installations. GPRS was one of the first technologies that enabled a cell network to connect with Internet Protocol (IP) networks, achieving widespread adoption in the early 2000s (sometimes being called "GSM-IP"). The ability to browse the Web from a phone at any time ("always on" data networking), while taken for granted in much of the world today, was still a novelty then. Even today, GPRS continues to be used in parts of the world where it has been too costly to upgrade cellular network infrastructure to newer alternatives. Mobile Internet providers offered GPRS data services together with voice subscription packages before 3G and 4G technologies became popular. Customers originally paid for GPRS service according to how much network bandwidth they used in sending and receiving data until providers changed to offer flat-rate use packages as is customary today. EDGE (Enhanced Data rates for GSM Evolution) technology (often called 2.75G) was developed in early 2000s enhanced version of GPRS. EDGE is sometimes also called Enhanced GPRS or simply EGPRS. GPRS technology was standardized by the European Telecommunications Standard Institute (ETSI). GPRS and EDGE deployments are both managed under the oversight of the 3rd Generation Partnership Project (3GPP). GPRS utilizing packet switching for data transmission. It operates at extremely slow speeds by today's standards - data rates for downloads range from 28 Kbps up to 171 Kbps, with upload speeds even lower. i) the Gateway GPRS Support Node (GGSN) connects the service provider's cell network to the Internet (or other IP network). These devices manage traffic between the internal and external networks. ii) the Serving GPRS Support Node (SGSN) sits between the service provider's internal network and the customer-facing equipment (primarily base stations). These devices authenticate and manage phones signed onto the network (including usage monitoring). The GPRS Tunneling Protocol (GTP) supports the transfer of GPRS data through the existing GSM network infrastructure. GTP primary runs over User Datagram Protocol (UDP). To use GPRS, a person must have a cell phone and be subscribed to a data plan where the provider supports it. Visiting the Taipei 101 Tower site should be on your list of things to do in this exciting city. Beautiful in spirit and design, one notices immediately that its spire is architecturally influenced by the bamboo plant, native to China. Taipei 101 Tower was the tallest building in the world from 2004 to 2010, when it was surpassed in height by Burj Dubai. A mall is found at the base, and visitors can shop after visiting the tower. Upscale shopping as well as a supermarket are all part of the excitement. Built to withstand earthquakes and typhoons, the architectural marvel of Taipei 101 Tower will make your visit to Taipei a truly memorable experience. With a height of 1667 feet or 508 meters, Taipei 101 has the distinction of being the third tallest building in the world, and tallest outside the Middle East. Its spire adds to its height, and the total makes it higher than the Kuala Lumpur Petronas Twin Towers. The name, Taipei 101, is derived from the fact that the building encompasses 101 floors. It was originally known as the Taipei International Financial Center. Fast moving elevators whisk the tenants to their floors, as well as visitors to the observation deck on the 89th floor in 37 seconds. It is considered the second fastest elevator in the world and is a must-do on any traveler's list. Influenced throughout by the spirit and culture of the Chinese, the first thing one notices about Taipei 101 is the influence of bamboo on the outside spire. The pagoda shape is also very evident inside and outside. The number eight, considered lucky in Chinese culture, has been incorporated by the use of eight sections of the outside building. You will enjoy a trip up on the high speed elevator at 55 feet per second and the marvelous views of Taipei; then dine at the highest restaurant in the country, Ding Xian 101. Reservations should be made to secure a table. On the 35th floor, Elly's Flower & Cafe is found and is known for their marvelous coffee and tea as well as western style lunches and dinners. Two more unique restaurants can be found on the 85th floor. Located in the heart of the city, the Tower is surrounded by department stores, a theater, businesses and a skywalk. The area is a short walk from the MRT station of City Hall on the Blue Line. On foot, it usually takes 15 to 20 minutes from the station; Taipei 101 Tower is located on Hsinyi Road. The price of general admission to the indoor observation deck is NT$350. Children below the height of 100cm are admitted free. Concession tickets are $320. If you are interested in accessing the outdoor observation deck, that is an additional NT$100 and is a separate ticket. One must purchase the indoor observation deck ticket as well as outdoor deck if they wish to visit the outdoor deck. Both observation decks are open from 10 a.m. until 10 p.m. The fear of falling (FOF), also referred to as basophobia (or basiphobia), is a natural fear and is typical of most humans and mammals, in varying degrees of extremity. It differs from acrophobia (the fear of heights), although the two fears are closely related. The fear of falling encompasses the anxieties accompanying the sensation and the possibly dangerous effects of falling, as opposed to the heights themselves. Those who have little fear of falling may be said to have a head for heights. Basophobia is sometimes associated with astasia-abasia, the fear of walking/standing erect. …a board laid across a large sheet of heavy glass which is supported a foot or more above the floor. On one side of the board a sheet of patterned material is placed flush against the undersurface of the glass, giving the glass the appearance as well as the substance of solidity. On the other side a sheet of the same material is laid upon the floor; this side of the board thus becomes the visual cliff. Thirty-six infants were tested in their experiments, ranging from six to fourteen months. Gibson and Walk found that when placed on the board, 27 of the infants would crawl on the shallow side when called by their mothers; only three ventured off the "edge" of the cliff. Many infants would crawl away from their mothers who were calling from the deep end, and some would cry because they couldn’t reach their mothers without crossing an apparent chasm. Some would pat the glass on the deep end, but even with this assurance would not crawl on the glass. These results, although unable to prove that this fear is innate, indicate that most human infants have well developed depth perception and are able to make the connection between depth and the danger that accompanies falling. For a long time, the fear of falling was merely believed to be a result of the psychological trauma of a fall, also called "post-fall syndrome". This syndrome was first mentioned in 1982 by Murphy and Isaacs, who noticed that after a fall, ambulatory persons developed intense fear and walking disorders. Fear of falling has been identified as one of the key symptoms of this syndrome. Since that time, FOF has gained recognition as a specific health problem among older adults. However, FOF was also commonly found among elderly persons who had not yet experienced a fall. Prevalence of FOF appears to increase with age and to be higher in women. Age remains significant in multiple logistic regression analyses. The results of different studies have reported gender as a somewhat significant risk factor for fear of falling. Other risk factors of fear of falling in the elderly include dizziness, self-rated health status, depression, and problems with gait and balance. Studies of nonhuman subjects support the theory that falling is an inborn fear. Gibson and Walk performed identical experiments with chicks, turtles, rats, kids, lambs, kittens, and puppies. The results were similar to those of the human infants, although each animal behaved a little differently according to the characteristics of its species. The chicks were tested less than 24 hours after birth. It suggested that depth perception develops quickly in chickens, as the chicks never made the "mistake" of walking off the "deep" side of the cliff. The kids and lambs were also tested as soon as they could stand on their own. During the experiment, no goat or lamb ever stepped onto the glass of the deep side. When placed there, the animals displayed typical behavior by going into a posture of defense, with their front legs rigid and their back legs limp. In this state of immobility, the animals were pushed forward across the glass until their head and field of vision crossed the solid edge on the opposite side of the cliff; the goats and lambs would then relax and proceed to spring forward upon its surface. Based on the results of the animals tested, the danger and fear of falling is instilled in animals at a very young age. The postural control system has two functions: to ensure that balance is maintained by bracing the body against gravity, and to fix the orientation and position of the features that serve as a frame of reference for perception and action with respect to the external world. Postural control relies on multisensory processing and motor responses that seem to be automatic and occur without awareness. Studies have shown that people afraid of heights or falling have poor postural control, especially in the absence of strong visual cues. These individuals rely heavily on vision to regulate their posture and balance. When faced with high or unstable ground, the vestibular system in these individuals senses the instability and attempts to correct it by increasing postural sway to reactivate visual balance feedback (postural sway refers to the phenomenon of constant displacement and correction of the position of the center of gravity within the base of support). This often fails, however, resulting in a feeling of increased instability and anxiety, which is often interpreted as fear. Closely related to postural control is the sensation of vertigo: a warning signal created by a loss of postural control when the distance between the observer and visible stationary objects becomes too large, and caused by a dysfunction of the vestibular system in the inner ear. In short, it is the feeling of motion when one is actually stationary. Symptoms of vertigo include dizziness, nausea, vomiting, shortness of breath, and the inability to walk or stand. Some individuals are more reliant on visual cues to control posture than others. Vestibular sensations can arise when unsound information is detected along the sensory channels (this happens even to those with normal vestibular function), and feelings of vertigo can result in people with postural control issues. Studies have shown that people with acrophobia and/or an extreme fear of falling have higher scores of SMD, or space and motion discomfort. These are physical symptoms elicited by visual or kinesthetic information that is inadequate for normal spatial orientation. Space and motion discomfort arises when conflicting information is detected among visual, kinesthetic, and vestibular sensory channels. Evidence has supported the claim that patients with anxiety and SMD rely more heavily on visual cues for postural changes. According to Sigmund Freud's The Interpretation of Dreams, falling dreams fall under the category of "typical dreams", meaning the "dreams which almost everyone has dreamt alike and which we are accustomed to assume must have the same meaning for everyone". In the fairly recent study, "The Typical Dreams of Canadian University Students", common dreams were investigated by administering a Typical Dreams Questionnaire (TDQ). The results confirmed that typical dreams are consistent over time, region, and gender, and a few themes can be considered almost universal: falling (73.8% prevalence), flying or soaring in the air (48.3%) and swimming (34.3%). In 1967, Saul and Curtis published a paper entitled "Dream Form and Strength of Impulse in Dreams of Falling and Other Dreams of Descent". According to Saul and Curtis, dreams of falling can have various meanings, such as the sensation of falling asleep, the symbolization of a real risk of falling from bed, the repetition of traumatic experiences of falling or sensations of falling from parents’ arms in childhood, birth and delivery, ambition or the renouncement of responsibility, or life experiences such as flying in an airplane. They quote another author, Gutheil (1951), who suggests a range of possible meanings subsumed under the general idea of loss of (mental) equilibrium. These include loss of temper, loss of self-control, yielding, decline of the accepted moral standard or loss of consciousness. Studies performed in recent years on the dream patterns of a group of 685 students attending secondary schools in Milan have concluded that, in dreams, fear is more frequently associated with falling, while happiness is connected with flying, and surprise with suspension and vertical movement (climbing, descent, ladder) content. In the Alfred Hitchcock film Vertigo, the hero, played by James Stewart, has to resign from the police force after an incident which causes him to develop both acrophobia and vertigo. Early on in the film he faints while climbing a stepladder. There are numerous references throughout the film to fear of heights and falling. Burj Khalifa - world’s tallest building is marvel of architectural genius of 21st century. Talk of its height or look at its design, this building is all set to leave you awestruck! Breaking several records and bagging new world records, this building sets global standards for affluence. Here are 20 interesting facts about Burj Khalifa that will make you utter only one word – “awesome!”. 1. Burj Khalifa is the tallest building in the world with an architectural height of 2716.5 feet or 828.0 meters. Its occupied height (height of the floor occupied by people) is 1918 feet or 584.5 meters. Its total height measured from its tip is 2723 feet or 829.8 meters. 2. The observatory deck of the building is located at a height of 1483 feet or 452.1 meters. 3. There are 163 floors located above the ground and it has only one floor located below the ground. It has 58 functional elevators that run at a top speed of 10 meters per second. Burj Khalifa boast 2957 parking spaces, 304 hotels and 900 apartments. 4. The Gross Floor Area of the tower is 3,331,140 ft or 309,473 m². The Gross Floor Area is the area within the footprint of the tower and does not include connected buildings and adjoining podiums. 5. The developer/owner of the tower is Emaar and its design architect is Skidmore Owings & Merill and architect of record is Hyder Consulting. 6. MEP (mechanical, electrical and plumbing) engineer as well as structural engineer is Skidmore Owings & Merill. 7. Turner Construction was the project manager for Burj Khalifa while Besix, Arabtec and Samsung C&T Corporation were its main contractors. Dow Corning Corporation supplied sealants for the tower while Otis Elevator Company supplied the elevators. 8. Located in Dubai, United Arab Emirates, this tower was initially named as Burj Dubai. The building was proposed in 2003 but construction work started in 2004 and was completed in 2010. 9. Burj Khalifa is the tallest tower in Dubai, UAE, Middle East and World. It is 3 times as tall as Eiffel Tower and two times taller than Empire State Building. 10. The tower also holds world records for: ‘tallest free standing building’, ‘highest occupied floor’, ‘highest number of stories’, ‘longest travel distance elevators’, ‘tallest service elevator’ and ‘second highest outdoor observatory deck’. Record for highest outdoor observation deck is now held by Canton Tower which was officially opened in December 2011. 11. Total aluminum used in the tower weighs as much as 5 A380 aircraft. Total concrete used in the tower weighs as much as 100,000 elephants. 12. During peak construction days, 12,000 workers were engaged every day. 13. ’22 million man-hours’, ‘55,000-ton steel rebar’ and ‘110,000-ton concrete’ were used to complete the construction of the tower in 6 years. 14. Skidmore Owings & Merill is an American architect firm and they developed the structural system called ‘buttressed core’ that supports 163 floors of the building. 15. So much rebar was used in the construction of Burj Khalifa that if they were laid down end-to-end, the total length would be one-quarter of the total way across the globe. 16. 26,000 glass panels cut individually were used to create the exterior of the building. 300 Chinese cladding experts worked together to design a cladding system for the tower that could withstand Dubai’s summer heat. 17. Burj Khalifa requires a supply of 250,000 gallons of water each day and total electricity consumption of the building is equivalent to the electricity consumed by 360,000 bulbs of 100-watt each burning at the same time. 18. The building has a specially designed elevator system for controlled evacuation during emergency situations like security threats or fire. 19. The building has 12 machines of 13 tons each moving along tracks constructed outside the building. 36 cleaners board these machines to clean the 24,000 reflective windows of the tower. 20. The design of the tower is inspired by the shape of Hymenocallis flower. The flower is known for its long petals extending out from its center. Please note that all heights are measured from the lowest level of open air, significant, pedestrian entrance. Underground floors are not included in the measurement. The total cost of building Burj Khalifa was $1.5 billion. Nanotechnology is science, engineering, and technology conducted at the nanoscale, which is about 1 to 100 nanometers. The ideas and concepts behind nanoscience and nanotechnology started with a talk entitled “There’s Plenty of Room at the Bottom” by physicist Richard Feynman at an American Physical Society meeting at the California Institute of Technology (CalTech) on December 29, 1959, long before the term nanotechnology was used. In his talk, Feynman described a process in which scientists would be able to manipulate and control individual atoms and molecules. Over a decade later, in his explorations of ultraprecision machining, Professor Norio Taniguchi coined the term nanotechnology. It wasn't until 1981, with the development of the scanning tunneling microscope that could "see" individual atoms, that modern nanotechnology began. Nanoscience and nanotechnology involve the ability to see and to control individual atoms and molecules. Everything on Earth is made up of atoms - the food we eat, the clothes we wear, the buildings and houses we live in, and our own bodies. But something as small as an atom is impossible to see with the naked eye. In fact, it’s impossible to see with the microscopes typically used in a high school science classes. The microscopes needed to see things at the nanoscale were invented relatively recently - about 30 years ago. Once scientists had the right tools, such as the scanning tunneling microscope (STM) and the atomic force microscope (AFM), the age of nanotechnology was born. Although modern nanoscience and nanotechnology are quite new, nanoscale materials were used for centuries. Alternate-sized gold and silver particles created colors in the stained glass windows of medieval churches hundreds of years ago. The artists back then just didn’t know that the process they used to create these beautiful works of art actually led to changes in the composition of the materials they were working with. Today's scientists and engineers are finding a wide variety of ways to deliberately make materials at the nanoscale to take advantage of their enhanced properties such as higher strength, lighter weight, increased control of light spectrum, and greater chemical reactivity than their larger-scale counterparts. Sydney is the state capital of New South Wales and the most populous city in Australia and Oceania. Located on Australia's east coast, the metropolis surrounds the world's largest natural harbour and sprawls about 70 km (43.5 mi) on its periphery towards the Blue Mountains to the west, Hawkesbury to the north and Macarthur to the south. Sydney is made up of 658 suburbs, 40 local government areas and 15 contiguous regions. Residents of the city are known as "Sydneysiders". As at June 2016 Sydney's estimated population was 5,029,768. The Sydney area has been inhabited by indigenous Australians for at least 30,000 years. Lieutenant James Cook first landed at Kurnell in 1770, when navigating his way up the east coast of Australia on his ship, HMS Endeavour. It was not until 1788 when the First Fleet, which contained convicts and was led by Captain Arthur Phillip, arrived in Botany Bay to found Sydney as a penal colony, the first European settlement in Australia. Phillip named the city "Sydney" in recognition of Thomas Townshend, 1st Viscount Sydney, Home Secretary in 1788. There are examples of rock art and engravings located in the protected Ku-ring-gai Chase National Park, as well as the Royal National Park. Since convict transportation ended in the mid-19th century, the city has transformed from a colonial outpost into a major global cultural and economic centre. The municipal council of Sydney was incorporated in 1842 and became Australia's first city. Gold was discovered in the colony in 1851 and with it came thousands of people seeking to make money. Sydney became one of the most multicultural cities in the world after the mass migration following the second World War. According to the 2011 census, more than 250 different languages were spoken in Sydney and about 40 percent of residents spoke a language other than English at home. Furthermore, 36 percent of the population reported having been born overseas. Despite being one of the most expensive cities in the world, the 2014 Mercer Quality of Living Survey ranks Sydney tenth in the world in terms of quality of living, making it one of the most livable cities. It is classified as an Alpha World City by Globalization and World Cities Research Network, indicating its influence in the region and throughout the world. Ranked eleventh in the world for economic opportunity, Sydney has an advanced market economy with strengths in finance, manufacturing and tourism. There is a significant concentration of foreign banks and multinational corporations in Sydney and the city is promoted as one of Asia Pacific's leading financial hubs. Established in 1850, the University of Sydney is Australia's first university and is regarded as one of the world's leading universities. 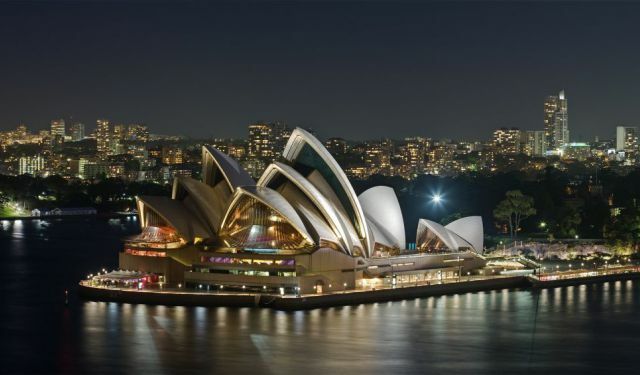 In addition to hosting events such as the 2000 Summer Olympics, Sydney is amongst the top fifteen most-visited cities in the world, with millions of tourists coming each year to see the city's landmarks. Its natural features include Sydney Harbour, the Royal National Park, and the Royal Botanic Garden. Man-made attractions such as Sydney Tower, the Sydney Harbour Bridge, and the Sydney Opera House (which became a World Heritage Site in 2007), are also well known to international visitors. The main passenger airport serving the metropolitan area is Kingsford-Smith Airport, one of the world's oldest continually operating airports. Opened in 1906, Central station is the main hub of the city's rail network. Telstar was launched by NASA on July 10, 1962, from Cape Canaveral, Fla., and was the first privately sponsored space-faring mission. Two days later, it relayed the world's first transatlantic television signal, from Andover Earth Station, Maine, to the Pleumeur-Bodou Telecom Center, Brittany, France. Developed by Bell Telephone Laboratories for AT&T, Telstar was the world's first active communications satellite and the world's first commercial payload in space. It demonstrated the feasibility of transmitting information via satellite, gained experience in satellite tracking and studied the effect of Van Allen radiation belts on satellite design. The satellite was spin-stabilized to maintain its desired orientation in space. Power to its onboard equipment was provided by a solar array, in conjunction with a battery back-up system. Although operational for only a few months and relaying television signals of a brief duration, Telstar immediately captured the imagination of the world. The first images, those of President John F. Kennedy and of singer Yves Montand from France, along with clips of sporting events, images of the American flag waving in the breeze and a still image of Mount Rushmore, were precursors of the global communications that today are mostly taken for granted. 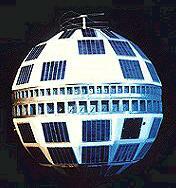 Telstar operated in a low-Earth orbit and was tracked by the ground stations in Maine and France. Each ground station had a large microwave antenna mounted on bearings, to permit tracking the satellite during the approximately half-hour period of each orbit when it was overhead. The signals from Telstar were received and amplified by a low-noise "maser" (Microwave Amplification by Stimulated Emission of Radiation), the predecessor of the modern laser. After demonstrating the feasibility of the concept, subsequent communications satellites adopted a much higher orbit, at 22,300 miles above the Earth, at which the satellite's speed matched the Earth's rotation and thus appeared fixed in the sky. During the course of its operational lifespan, Telstar 1 facilitated over 400 telephone, telegraph, facsimile and television transmissions. It operated until November 1962, when its on-board electronics failed due to the effects of radiation. What's in a name? From the Greek word for a smell, osme. Say what? Osmium is pronounced as OZ-mee-em. Osmium and iridium were discovered at the same time by the British chemist Smithson Tennant in 1803. 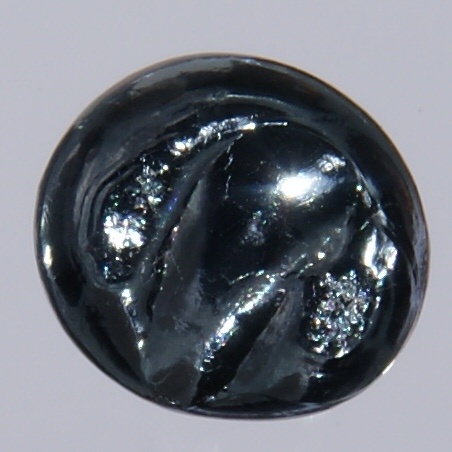 Osmium and iridium were identified in the black residue remaining after dissolving platinum ore with aqua regia, a mixture of 25% nitric acid (HNO3) and 75% hydrochloric acid (HCl). Today, osmium is primarily recovered during the processing of platinum and nickel ores. Metallic osmium is hard, brittle and very difficult to make. Powdered osmium is easier to make but emits osmium tetroxide (OsO4) when it is exposed to the air. Unfortunately, osmium tetroxide smells bad and is very poisonous. Because of these problems, osmium is primarily used to make very hard alloys. Osmium alloys can be found in ball point pen tips, fountain pen tips, record player needles, electrical contacts and other devices where frictional wear must be minimized. Amoeba, also spelled ameba, plural amoebas or amoebae, any of the microscopic unicellular protozoans of the rhizopodan order Amoebida. The well-known type species, Amoeba proteus, is found on decaying bottom vegetation of freshwater streams and ponds. There are numerous parasitic amoebas. Of six species found in the human alimentary tract, Entamoeba histolytica causes amebic dysentery. Two related free-living genera of increasing biomedical importance are Acanthamoeba and Naegleria, strains of which have been recognized as disease-causing parasites in several vertebrates, including humans. Amoebas are identified by their ability to form temporary cytoplasmic extensions called pseudopodia, or false feet, by means of which they move about. This type of movement, called amoeboid movement, is considered to be the most primitive form of animal locomotion. Amoebas are used extensively in cell research for determining the relative functions and interactions of the nucleus and the cytoplasm. Each amoeba contains a small mass of jellylike cytoplasm, which is differentiated into a thin outer plasma membrane, a layer of stiff, clear ectoplasm just within the plasma membrane, and a central granular endoplasm. The endoplasm contains food vacuoles, a granular nucleus, and a clear contractile vacuole. The amoeba has no mouth or math; food is taken in and material excreted at any point on the cell surface. During feeding, extensions of cytoplasm flow around food particles, surrounding them and forming a vacuole into which enzymes are secreted to digest the particles. Oxygen diffuses into the cell from the surrounding water, and metabolic wastes diffuse from the amoeba into the surrounding water. A contractile vacuole, which removes excess water from the amoeba, is absent in most marine and parasitic species. Reproduction is asexual (binary fission). During adverse environmental periods many amoebas survive by encystment: the amoeba becomes circular, loses most of its water, and secretes a cyst membrane that serves as a protective covering. When the environment is again suitable, the envelope ruptures, and the amoeba emerges. Supernova explosion is one of the violent explosions of the universe which outshines the entire galaxy. The supernova explosion releases tremendous amount of energy and light into the interstellar medium. The brightness of supernova is so large that it can be seen from the billions of light years away. The brightness of supernova is sometimes even larger than the brightness of galaxy in which it occurred. The supernova also releases radiations like gamma rays which can be harmful for any life supporting environment present around the supernova. The effect of supernova on the environment can be seen from many light years away. The supernovae in any galaxy are not too frequent and there are normally two to three supernovae observed per century. The supernovae occurred in our galaxy were observed in the past by Chinese, European and Islamic astronomers. There are records that Chinese astronomers have observed a supernova in 185 AD which is today known as SN 185 (SN means supernova and 185 is the year of explosion). In 1006, the Chinese and Islamic astronomers have observed the brightest supernova called SN 1006. In 1054, another supernova was observed which was so bright that it could also be viewed in daytime for many months. 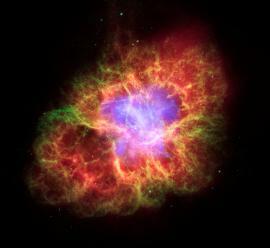 The remnant of SN 1054 is known as CrabNebula. European astronomers had observed two latest supernovae in our galaxy known as SN 1572 and SN 1604, these supernovae could be observed by the naked eyes. SN 1572 was observed by the Tycho Brahe in Cassiopeia and SN 1604 was observed by Johannes Kepler. In 1885, a supernova was observed in the Andromeda Galaxy. After the development of modern telescope and radio astronomy, the supernova in faraway galaxies could also be observed. These days, amateur astronomers also help in finding supernovae in other galaxies by comparing the view of closer galaxies with the earlier photographs. The nature of all the supernovae are not same, they have different light spectrum which indicate the presence of different elements. Light spectrum is obtained by passing the light of supernova from prism which splits the light into its component just like rainbow. The pattern obtained after passing through prism is called light spectrum. The supernovae are broadly classified into two categories based on presence of hydrogen line in the light spectrum of supernova. The supernova which does not show hydrogen line in the spectrum is called type I supernova and the supernova which shows the presence of hydrogen line in the spectrum is called type II supernova. There are further classifications of these two categories but we will not go in detail. We will just classify type I supernova, the type I supernova which shows presence of silicon line is called type Ia supernovaand type Ib/c does not show presence of silicon absorption line. There are broadly two mechanism of supernova explosion, thermonuclear runaway and gravitational core collapse. Thermonuclear runaway supernova occurs in binary stars in which one of them has become white dwarf. As we have learned in earlier post “stellar evolution” that the core of stars which have mass less than 1.4 times the mass of sun end up their life into white dwarf. This limit of 1.4 times of solar mass is also known as Chandrasekhar Limit. The white dwarf is supported by the electron degeneracy pressure. Binary stars are the system of two stars which revolves around the center of mass of both stars. Usually one of the star is massive than the other star. Since the massive star burns their nuclear fuel faster than smaller stars, the massive star becomes red giant much earlier than smaller star. The red giant sheds its mass to form accretion disk around binary star system. After some time, the nuclear reactions of massive star stops and if the mass of the core is less than 1.4 times the solar mass then the core collapses and converts into white dwarf. Now we have binary star system with one normal star and other white dwarf. As the hydrogen in the core of smaller star exhausts, it becomes red giant. The white dwarf starts pulling matter from the outer layer of red giant. The matter flows from the red giant to the white dwarf forming accretion disk around the white dwarf. As this matter deposits on the surface of white dwarf, the mass of white dwarf increases. This also increases the temperature of white dwarf. If the increasing mass becomes more than 1.4 times the solar mass then the white dwarf may collapse but just before the beginning of collapse, the thermonuclear reaction ignites. The thermonuclear runaway reaction makes the white dwarf unstable and the whole white dwarf blows away with tremendous explosion called type Ia supernova. As this type Ia supernova occurs near the Chandrasekhar Limit, every type Ia supernova has the nearly same brightness. That’s why these are also known as standard candles. We know that light intensity follows inverse square law means light intensity decreases as the square of the distance from the source. The distance of supernova can be estimated by comparing the observed intensity with the standard intensity of supernova. Using these standard candles it is proved that the rate of expansion of universe is accelerating. As these supernovae occurred in the past millions years ago, the light spectrum has red shift corresponding to the rate of expansion of universe occurring at that time. The time of these supernovae explosions can be found using the distance measured by standard candle and speed of light. Thus the rate of expansion of universe could be compared for different times in past. It was found that the rate of expansion is accelerating with time. Core collapse supernova occurs when the mass of core of star is more than 1.4 times the solar mass. As we have learned that in the massive star the chain of nuclear reaction stops at iron. As the iron has highest stability and the conversion of iron into higher element do not produce energy instead they requires input of energy. Thus the nuclear reaction stops at iron and the pressure produced due to nuclear reaction stops. The core starts collapsing due to gravity and density of core increases. For the core of star massive than 1.4 times the solar mass, the gravitational pressure is much larger than the electron degeneracy pressure. Thus the electron degeneracy breaks and electron fuses into the proton forming neutron. The core collapse stops whens neutron degeneracy pressure develops against the gravitational pressure. The core is now called neutron star. The gravitational potential energy decreases due to collapse of core, which is released as outburst and blows away the outer layers. This tremendous amount of energy is released in the form of explosion called type II supernova. The energy released in the supernova is equivalent to the energy released by sun in entire life. This explosion expels the matter of outer layer at velocity of 30000 km/s and creates a shock wave into the surrounding interstellar medium. When the core of star is heavier than about 3 times the solar mass then the gravitation pressure overcome the neutleron degeneracy pressure and the collapse does not stop. The core and many layers above it collapses to the point of singularity and results in the black hole. Supernovae play an important role in the evolution of universe. The supernova distributes the heavy elements in the interstellar medium. The shock waves originated by supernova also helps in the formation of new stars. Supernova can also affect the biosphere of any planet having life if the distance of supernova from planet is not large. The energy released in the supernova is so large that the hydrogen in the upper layer undergo nuclear chain reaction and give rise to element heavier than iron like copper, gold, silver and even uranium etc. The supernova throws these newly formed heavier elements into the interstellar medium. Later these heavy elements participate in the formation of new stars and planetary systems. We know that the planets of our solar system are made up of different type of heavy elements. These various types of elements are remnant of supernovae that occurred in past much before the formation of our sun. The life on Earth is also the result of these supernova remnants. The shock wave originated from supernova propagates through the interstellar medium and applies pressure to the gas clouds present in the space. The pressure applied through shock wave creates region of high density which triggers the process of formation of new stars. Thus supernova plays an important role in the formation of new stars. Depending upon the type and energy of supernova, the biosphere of Earth may get affect from as far as 3000 light years. The cosmic rays originated from supernova when encounters the atmosphere of Earth, various type of chemical reaction takes place in the biosphere. For e.g. the nitrogen gas converts into nitrogen oxides and also the ozone layer gets depleted. In 1996, it was theorized that the traces of past supernovae might be detectable on the Earth in the form of metal isotopes on the rocks. Iron-60 was found to be deposited on the deep-sea rock in the Pacific Ocean. In 2009, the nitrate ion was found to be deposited in the Arctic ice which was supposed to be the traces of SN 1006 and SN 1054. Recent estimates predict that the type II supernovashould be closer than 26 light years to destroy the half of the ozone layer of Earth. The depletion of ozone layer will lead to exposure to harmful Ultra Violet radiation of Sun that will cause skin cancer. Thus supernovae have potential to destroy life on Earth but for that it has be very close to our solar system. Tristan da Cunha : remotest island in the world, Tristan da Cunha lies 2,816 kilometres (1,750 miles) from South Africa and 3,360 kilometres (2,088 miles) from South America. The closest land mass is Saint Helena a mere 2,430 kilometres (1,510 miles) distant. Tristan was first discovered in 1506 by the Portuguese sailor Tristão da Cunha. However, Tristão was unable to land on Tristan because of accessibility difficulties and rough seas. Despite this, Tristão named the island ‘Ilha de Tristão da Cunha’ – roughly translated as ‘The Islands of Tristão da Cunha’. The name was changed to Tristan da Cunha at a later date. – the capital was being confused with the Scottish city of Edinburgh. The territory consists of a number of islands - Tristan da Cunha (38 square miles approximately), the uninhabited Nightingale Islands, and the wildlife reserves of Inaccessible Island and Gough Island. Every citizen who is able to work is a farmer by trade. All land is communally owned and various measures are in place to prevent better off families from gaining excess wealth. The main source of income is the island’s lobster factory. Most people have more than one job and many work for the local government. You can read more information about Tristan’s economy. A blue whale's tongue alone can weigh as much as an elephant - its heart as much as an automobile. Blue whales are the largest animals ever known to have lived on Earth. These magnificent marine mammals rule the oceans at up to 100 feet long and upwards of 200 tons. Their tongues alone can weigh as much as an elephant. Their hearts, as much as an automobile. Blue whales reach these mind-boggling dimensions on a diet composed nearly exclusively of tiny shrimplike animals called krill. During certain times of the year, a single adult blue whale consumes about 4 tons of krill a day. Blue whales are baleen whales, which means they have fringed plates of fingernail-like material, called baleen, attached to their upper jaws. The giant animals feed by first gulping an enormous mouthful of water, expanding the pleated skin on their throat and belly to take it in. Then the whale's massive tongue forces the water out through the thin, overlapping baleen plates. Thousands of krill are left behind - and then swallowed. Blue whales look true blue underwater, but on the surface their coloring is more a mottled blue-gray. Their underbellies take on a yellowish hue from the millions of microorganisms that take up residence in their skin. 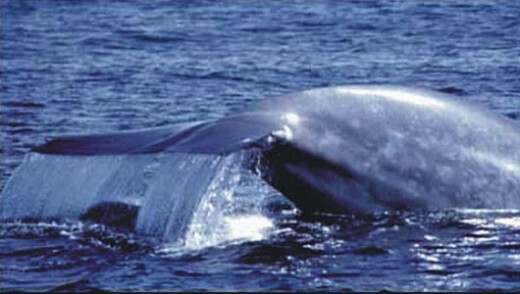 The blue whale has a broad, flat head and a long, tapered body that ends in wide, triangular flukes. Blue whales live in all the world's oceans occasionally swimming in small groups but usually alone or in pairs. They often spend summers feeding in polar waters and undertake lengthy migrations towards the Equator as winter arrives. These graceful swimmers cruise the ocean at more than five miles an hour, but accelerate to more than 20 miles an hour when they are agitated. Blue whales are among the loudest animals on the planet. They emit a series of pulses, groans, and moans, and it’s thought that, in good conditions, blue whales can hear each other up to 1,000 miles away. Scientists think they use these vocalizations not only to communicate, but, along with their excellent hearing, to sonar-navigate the lightless ocean depths. Calves enter the world already ranking among the planet's largest creatures. After about a year inside its mother's womb, a baby blue whale emerges weighing up to 3 tons and stretching to 25 feet. It gorges on nothing but mother's milk and gains about 200 pounds every day for its first year. Blue whales are among Earth's longest-lived animals. Scientists have discovered that by counting the layers of a deceased whale's waxlike earplugs, they can get a close estimate of the animal's age. The oldest blue whale found using this method was determined to be around 110 years old. Average lifespan is estimated at around 80 to 90 years. Aggressive hunting in the 1900s by whalers seeking whale oil drove them to the brink of extinction. Between 1900 and the mid-1960s, some 360,000 blue whales were slaughtered. They finally came under protection with the 1966 International Whaling Commission, but they've managed only a minor recovery since then. Blue whales have few predators but are known to fall victim to attacks by sharks and killer whales, and many are injured or die each year from impacts with large ships. Math has many important constants, like pi and i, the imaginary number that is equal to the square root of negative one. But one constant that's equally important, though perhaps less well known, is Euler's constant, e. This constant shows up all the time in math and physics, but where does it come from? And what exactly does it mean? The constant e was discovered in the early 18th century by mathematician Leonard Euler. Euler was trying to solve a problem first proposed by another mathematician, Jacob Bernoulli, half a century earlier. Bernoulli's problem was related to compound interest. Suppose you put some money in the bank, and the bank compounds that money annually at a rate of 100 percent. After one year, you'd have twice the amount you invested. Now suppose the bank compounds the interest every six months, but only offers half the interest rate, or 50 percent. In this case, you'd end up with 2.25 times your initial investment after one year. Let's keep going. Suppose the bank offered 8.3 percent (1/12 of 100 percent) interest compounded every month, or 1.9 percent (1/52 of 100 percent) interest compounded every week. In that case, you'd make 2.61 and 2.69 times your investment. So what happens if n gets really big? Say, infinity big? This is the question that Bernoulli was trying to answer, but it took 50 years for Euler to come along and solve it. It turns out the answer is the irrational number e, which is about 2.71828…. for which this pattern is true. In calculus, which is all about finding slopes and areas, you can imagine that e is a pretty important number. It's also an important number in physics, where it shows up in the equations for waves, such as light waves, sound waves, and quantum waves. is the greatest value of x when x is finite, i.e. when x is 1.444667861 approximately, i.e. zeroes, that is, a 1 followed by a googol of zeroes. In pure mathematics, there are several notational methods for representing large numbers by which the magnitude of a googolplex could be represented, such as tetration, hyperoperation, Knuth's up-arrow notation, Steinhaus–Moser notation, or Conway chained arrow notation. In the PBS science program Cosmos: A Personal Voyage, Episode 9: "The Lives of the Stars", astronomer and television personality Carl Sagan estimated that writing a googolplex in full decimal form (i.e., "10,000,000,000...") would be physically impossible, since doing so would require more space than is available in the known universe. In a separate article, Page shows that the number of states in a black hole with a mass roughly equivalent to the Andromeda Galaxy is in the range of a googolplex. times the accepted age of the universe. As with all constants in Physics, the gravitational constant is an empirical value. That is to say, it is proven through a series of experiments and subsequent observations. Although the gravitational constant was first introduced by Isaac Newton as part of his popular publication in 1687, the Philosophiae Naturalis Principia Mathematica, it was not until 1798 that the constant was observed in an actual experiment. Don’t be surprised. It’s mostly like this in physics. The mathematical predictions normally precede the experimental proofs. Anyway, the first person who successfully measured it was the English physicist, Henry Cavendish, who measured the very tiny force between two lead masses by using a very sensitive torsion balance. It should be noted that, after Cavendish, although there have been more accurate measurements, the improvements on the values (i.e., being able to obtain values closer to Newton’s G) have not been really substantial. Alright, let’s now see what force would two 1-kg objects exert on one another when their geometrical centers are spaced 1 meter apart. So, how much do we get? F = 0.00000000006673 N. It really doesn’t matter much if we increase both masses substantially. For example, let’s try the heaviest recorded mass of an elephant, 12,000 kg. Assuming we have two of these, spaced 1 meter apart from their centers. I know it’s difficult to imagine that since elephants are rather stout, but let’s just proceed this way because I want to put emphasis on the significance of G.
So, how much did we get? Even if we rounded that off, we’d still obtain only 0.01 N. For comparison, the force exerted by the earth on an apple is roughly 1 N.
Therefore, the force of gravity is only noticeable when we consider at least one mass to be very massive, e.g. a planet’s. An equator is an imaginary line around the middle of a planet or other celestial body. It is halfway between the North Pole and the South Pole, at 0 degrees latitude. An equator divides the planet into a Northern Hemisphere and a Southern Hemisphere. The Earth is widest at its Equator. The distance around the Earth at the Equator, its circumference, is 40,075 kilometers (24,901 miles). The Earth's diameter is also wider at the Equator, creating a phenomenon called an equatorial bulge. The diameter of a circle is measured by a straight line that passes through the center of the circle and has its endpoints on the boundary of that circle. Scientists can calculate the diameter of latitudes, such as the Equator and Arctic Circle. The Earth's diameter at the Equator is about 12,756 kilometers (7,926 miles). At the poles, the diameter is about 12,714 kilometers (7,900 miles). The Earth's equatorial bulge is about 43 kilometers (27 miles). The equatorial bulge means that people standing at sea level near the poles are closer to the center of the Earth than people standing at sea level near the Equator. The equatorial bulge affects the ocean, too - sea levels are slightly higher in equatorial regions than near the poles. The equatorial bulge is created by the Earth's rotation. As lines of latitude increase in size, a point has to travel faster to complete a circle (revolution) in the same amount of time. The rotational speed, or spin, at the Arctic Circle is slower than the spin at the Tropic of Cancer, because the circumference of the Arctic Circle is much smaller and a point doesn't have to travel as far to complete a revolution. The spin at the Tropic of Cancer is much slower than the spin at the Equator. Near the poles, the Earth's rotational speed, or spin, is near zero. At the Equator, the spin is about 1,670 kilometers per hour (1,038 miles per hour). The Earth's gravitational pull is slightly weaker at the Equator due to its equatorial bulge. The slightly weaker gravitational pull and momentum of the spinning Earth makes equatorial regions ideal places for space launches. It takes an enormous amount of energy to launch a satellite or other spacecraft out of the Earth's atmosphere. It takes less energy (rocket fuel) to launch in lower gravity. It also takes less energy to launch when the spinning Earth is already giving the satellite a push of 1,670 kilometers per hour (1,038 miles per hour). The United States launches most spacecraft from the Kennedy Space Center in southern Florida, as close to the Equator as possible in the continental U.S. Other rocket-launching facilities near the Equator include Shaba North, Democratic Republic of Congo, and Gan Island, Maldives. Recently, mobile launch platforms, such as Ocean Odyssey, have successfully launched satellites into orbit from the equatorial Pacific Ocean. Twice a year, during the spring and autumn equinoxes, the sun passes directly over the Equator. Even during the rest of the year, equatorial regions often experience a hot climate with little seasonal variation. As a result, many equatorial cultures recognize two seasons - wet and dry. The wet, or rainy, season often lasts most of the year. The long, warm, rainy season creates tropical rain forests. Some of the most expansive rain forests in the world are in equatorial regions: the Amazon rain forest of South America, the Congo rain forest of Central Africa, and the varied Southeast Asian rainforest stretching from India to Vietnam. Humid weather means that equatorial regions are not the hottest in the world, even though they are among the closest to the sun. The water in the equatorial air cools it slightly. Many cultures thrive in warm equatorial regions. The Fang people of Gabon, for instance, are successful farmers who take advantage of the warm temperature and long rainy season to cultivate crops such as corn, yams, and plantains. The Fang also raise livestock that have adapted to the climate, such as goats and chickens. Not all equatorial regions are hot and humid, however. Mount Kilimanjaro, Tanzania, is only 330 kilometers (205 miles) from the Equator, but its elevation creates a climate with cool, dry weather and even alpine glaciers. The Andes are another equatorial region lacking the hot, humid climate often associated with the Equator. The mountain range includes a desert with almost no rain (the Atacama), as well as some of the tallest peaks on Earth. Here, too, cultures have thrived for thousands of years. The Aymara people of the Altiplano of Bolivia, Peru, and Chile, are primarily an urban people who identify strongly with the innovative navigational successes of their ancestors. In the 20th century, the Aymara helped build railroads through the high, equatorial Andes. Many plant and animal species thrive in equatorial climates. The Amazon and Congo rain forest ecosystems, for example, are amazingly rich in biodiversity. A single hectare (2.47) of rain forest in Brazil may contain 750 species of trees and twice that many species of insects. The equatorial savanna of Kenya includes mammals such as lions, cheetahs, and elephants. The chilly equatorial Andes are famous for its camelid species: llamas, alpacas, vicunas, and guanacos. Cesium (Cs), also spelled caesium, chemical element of Group 1 (also called Group Ia) of the periodic table, the alkali metal group, and the first element to be discovered spectroscopically (1860), by German scientists Robert Bunsen and Gustav Kirchhoff, who named it for the unique blue lines of its spectrum. is a cesium-rich mineral resembling quartz. It contains 40.1 percent cesium on a pure basis, and impure samples are ordinarily separated by hand-sorting methods to greater than 25 percent cesium. Large pollucite deposits have been found in Zimbabwe and in the lithium-bearing pegmatites at Bernic Lake, Manitoba, Can. Rhodizite is a rare mineral found in low concentrations in lepidolite and in salt brines and saline deposits. The primary difficulty associated with the production of pure cesium is that cesium is always found together with rubidium in nature and is also mixed with other alkali metals. Because cesium and rubidium are very similar chemically, their separation presented numerous problems before the advent of ion-exchange methods and ion-specific complexing agents such as crown ethers. Once pure salts have been prepared, it is a straightforward task to convert them to the free metal. in a vacuum. Because cesium is strongly photoelectric (easily loses electrons when struck by light), it is used in photoelectric cells, photomultiplier tubes, scintillation counters, and spectrophotometers. It is also used in infrared lamps. Because the cesium atom can be ionized thermally and the positively charged ions accelerated to great speeds, cesium systems could provide extraordinarily high exhaust velocities for plasma propulsion engines for deep-space exploration. Cesium metal is produced in rather limited amounts because of its relatively high cost. Cesium has application in thermionic power converters that generate electricity directly within nuclear reactors or from the heat produced by radioactive decay. Another potential application of cesium metal is in the production of low-melting NaKCs eutectic alloy. Atomic cesium is employed in the world’s time standard, the cesium clock. The microwave spectral line emitted by the isotope cesium-133 has a frequency of 9,192,631,770 hertz (cycles per second). This provides the fundamental unit of time. Cesium clocks are so stable and accurate that they are reliable to 1 second in 1.4 million years. Primary standard cesium clocks, such as NIST-F1 in Boulder, Colo., are about as large as a railroad flatcar. Commercial secondary standards are suitcase-sized. Naturally occurring cesium consists entirely of the nonradioactive isotope cesium-133; a large number of radioactive isotopes from cesium-123 to cesium-144 have been prepared. Cesium-137 is useful in medical and industrial radiology because of its long half-life of 30.17 years. However, as a major component of nuclear fallout and a waste product left over from the production of plutonium and other enriched nuclear fuels, it presents an environmental hazard. Removal of radioactive cesium from contaminated soil at nuclear-weapon-production sites, such as Oak Ridge National Laboratory in Oak Ridge, Tenn., and the U.S. Department of Energy’s Hanford site near Richland, Wash., is a major cleanup effort. Cesium is difficult to handle because it reacts spontaneously in air. If a metal sample has a large enough surface area, it can burn to form superoxides. Cesium superoxide has a more reddish cast. can be formed by oxidation of the metal with the required amount of oxygen, but other reactions of cesium with oxygen are much more complex. , is the strongest base known, attacking even glass. Some cesium salts are used in making mineral waters. Cesium forms a number of mercury amalgams. Because of the increased specific volume of cesium, as compared with the lighter alkali metals, there is a lesser tendency for it to form alloy systems with other metals. Rubidium and cesium are miscible in all proportions and have complete solid solubility; a melting-point minimum of 9 °C (48 °F) is reached. Angel Falls, Spanish Salto Ángel, also called Salto Churún Merú, waterfall in the Guiana Highlands in Bolívar state, southeastern Venezuela, on the Churún River, a tributary of the Caroní, 160 miles (260 km) southeast of Ciudad Bolívar. 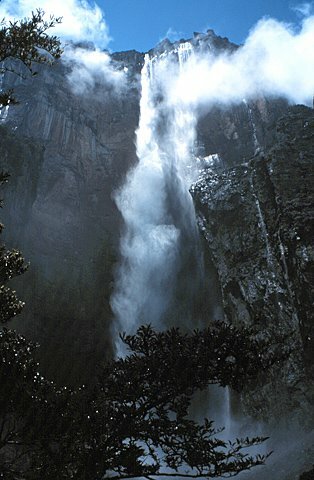 The highest waterfall in the world, the cataract drops 3,212 feet (979 metres) and is 500 feet (150 metres) wide at the base. It leaps from a flat-topped plateau, Auyán-Tepuí (“Devils Mountain”), barely making contact with the sheer face. Because of the dense jungle surrounding the falls, they are best seen from the air. The falls, first sighted by outsiders in the 1930s, were named for James Angel, an American adventurer who crash-landed his plane on a nearby mesa in 1937. In late 2009 Venezuelan Pres. Hugo Chávez declared that the falls should be referred to as Kerepakupai Merú, an indigenous name. The will of the Swedish inventor Alfred Nobel established the prizes in 1895. The prizes in Chemistry, Literature, Peace, Physics and Physiology or Medicine were first awarded in 1901. Medals made before 1980 were struck in 23 carat gold, and later from 18 carat green gold plated with a 24 carat gold coating. Between 1901 and 2016, the Nobel Prizes and the Nobel Memorial Prize in Economic Sciences were awarded 579 times to 911 people and organisations. With some receiving the Nobel Prize more than once, this makes a total of 23 organisations, and 881 individuals. The prize ceremonies take place annually in Stockholm, Sweden (with the exception of the peace prize, which is held in Oslo, Norway). Each recipient, or laureate, receives a gold medal, a diploma, and a sum of money that has been decided by the Nobel Foundation. (As of 2017, each prize is worth SEK 9,000,000 or about US$1,110,000, €944,000, £836,000, INR 72,693,900 Or CNR 376,000.) The Nobel Prize is widely regarded as the most prestigious award available in the fields of literature, medicine, physics, chemistry, peace, and economics. The Royal Swedish Academy of Sciences awards the Nobel Prize in Physics, the Nobel Prize in Chemistry, and the Sveriges Riksbank Prize in Economic Sciences in Memory of Alfred Nobel; the Nobel Assembly at Karolinska Institutet awards the Nobel Prize in Physiology or Medicine; the Swedish Academy grants the Nobel Prize in Literature; and the Nobel Peace Prize is awarded not by a Swedish organisation but by the Norwegian Nobel Committee. The prize is not awarded posthumously; however, if a person is awarded a prize and dies before receiving it, the prize may still be presented. Though the average number of laureates per prize increased substantially during the 20th century, a prize may not be shared among more than three people, although the Nobel Peace Prize can be awarded to organizations of more than three people. Looking up at the sky inspires deep moments of introspection and curiosity. It’s easy to feel small under a starry night sky, but in order to begin to grasp just how small we truly are, we must know what our relative size is compared to the larger celestial bodies of the Galaxy - and what makes a better point of comparison than a star? Enter UY Scuti, a bright red supergiant variable star that resides within the Scutum constellation and is currently believed to be the largest star in the Milky Way galaxy. German astronomers originally discovered UY Scuti at the Bonn Observatory in 1860, but it wasn’t until astronomers observed UY Scuti through the Very Large Telescope in Chile’s Atacama Desert in 2012 that the star’s true size became well documented. Following this discovery, UY Scuti was officially named the largest known star in the galaxy, surpassing previous record holders such as Betelgeuse, VY Canis Majoris, and NML Cygni. From our point of view, Earth is pretty big compared to the size of a single human. But compared to even some of our close neighbors, our home is incredibly tiny. Let’s imagine for a moment that the Earth were an 8-inch diameter ball. At that scale, the Sun would be about 73 feet in diameter, which is a few feet more than the height of the White House. Our enormous, distant friend, UY Scuti, would be 125,000 feet in diameter, which is just a smidge under 24 miles. Remember that crazy Redbull-sponsored stunt a few years ago performed by Felix Baumgartner, who jumped from the outermost limit of Earth’s atmosphere back to the surface? That was 24 miles in the air. Now imagine a sphere that large. 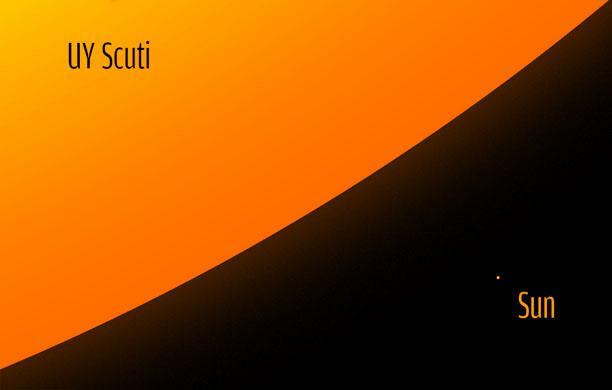 That’s how big UY Scuti is. While there are stars that are brighter and denser than UY Scuti, it has the largest overall size of any star currently known, with a radius of 1,708 ± 192 R☉. That figure amounts to somewhere between 1,054,378,000 and 1,321,450,000 miles in size, which is about 1,700 times larger than our Sun’s radius and 21 billion times the volume. Wrapping one’s head around such number can be difficult, so let’s break this down a bit. So, what would happen if UY Scuti were to swap positions with our Sun? The Star would engulf the the entirety of Jupiter’s orbit, swallowing the Sun, the first five planets of our solar system, and the asteroid belt without so much as a belch. Some speculate the star may be even larger, enough to extend beyond the orbit of Saturn. Not only that, but the UY Scuti’s gravity would gobble up the larger planet and distant planetoids of our solar system like a interstellar Pac-Man, and whatever remained unconsumed would take thousands of years to complete a single orbital rotation around the luminescent giant. Hopefully, it’s beginning to sink in just how enormous UY Scuti is. We haven’t even touched the distance between us and the supermassive star - approximately 2.9 kiloparsecs, or 9,500 light years - but that’s a topic for another day. It must be stressed that we’re constantly exploring, observing, and discovering new things about our galaxy and the trillions of celestial bodies that populate it. It stands to reason that we could uncover yet another, even larger star in the future. Our perspective, on a universal scale, is infinitesimally small. Even if UY Scuti is the largest star in the Milky Way, there could be enormous other stars in far away galaxies that dwarf those of our own, somewhere within this indescribably vast universe. Alas, we will may never know.